But despite being alone, I never felt lonely. I had an entire world of historical personages to talk to (Some might regard talking to dead people is a sign of schizophrenia. Considering what I went through in grad school, mental illness is definitely a possibility). Newton one week, Darwin the next. One of the more interesting books I read was James N. Davidson’s Courtesans & Fishcakes. At the time, I read it because it supposedly had a nice corrective to the cult of Michel Foucault (If you have no idea who this is, don’t worry. Your life may be better for it), but now I realize it is very relevant to the ethics of sustainable eating. And the Greeks, as seen by anyone who has either visited Greece or eaten at a Greek restaurant, like their fish. Ancient Greek writings, especially those of Sicily, are abound with paeans to fish - fish-eating, fish-mongering, fish-catching, fish recipes. And not surprisingly, the fish that the Greeks prized were the same ones we do today: tuna, conger-eel, sea bass, and crustaceans. The core of the book lies in the analysis of the “opsophagos” (ὀψόφαγος in Ancient Greek) , who according to Plutarch, was someone obsessed with eating fish. These opsophagoi (pl.) were known do some crazy stuff to get more fish in their belly, such as wearing heat-pads on their fingers or training the throats to be heat-resistant as to consume fish that were too hot for other guests. In other words, they were fish gluttons. And in the classical Greek world, being a hog was not going to make you the ideal, rational human being. Eating your fish in moderation – just like your passions – were the key to the virtuous soul. Sadly, the fish of the opsophagoi are just a historical memory, even though the opsophagoi are not. Hundreds of years of civilization have depleted the fish stocks of Ancient Greece to unsustainable levels. Over-fishing, combined with pollution, shipping, tourism, have emptied the wine-dark Mediterranean of Homer’s Iliad. World Wildlife Fund, European Environmental Agency, United Nations Food and Agriculture Organization, and Greenpeace all agree that the fish stocks are unsustainable. The WWF estimates that 65% of fish stocks are threatened. Tuna is basically absent from commercial catches. Beyond over-fishing, there is another threat to the Mediterranean – invasive species. The 1869 opening of the Suez Canal, connecting the Mediterranean with the salt-water Red Sea, may have benefited the colonial ambitions of the British Empire, but it also hastened an irreversible evolutionary change across the Mediterranean through what is known as Lessepsian migration. Basically Red Sea fish are adapted to the salinity and nutrient poor environment of the Red Sea – thus, when the salt water started seeping into the Eastern Mediterranean, via the Suez Canal, these fish not only migrated into the Mediterranean, but also displaced the populations of native fish due to their comparative evolutionary advantage versus those of native Mediterranean fish. According to one study, 70% of decapods (crustaceans to non-science folk) and 63% of alien fishes come through the Suez Canal. Caulerpa taxifolia, or "killer alga," has also entered the Mediterranean ecosystem. Once again, well suited for salt-water conditions, through rising salinity of the Mediterranean, it threatens to displace, or has displaced native water-plants. This, in turn, threatens all the fish that are dependent upon those native plants, thus completely destroying the ecosystem in general. Reckless development projects have and will hasten this process further. There was another concept of Ancient Greek civilization – ὕβρις – hubris. The Ancient Greeks had it figured out – why can’t we? Special thanks to Prof. Pat Larash for all the Ancient Greek texts. Bouillabaisse is a dish that has supposedly had its roots in Marseille with the Ancient Greeks around 600 B.C. (with a simple fish stew known in Greek as “kakavia”). The stew originally fed French fisherman. Instead of using the more commercially valuable fish, they used rockfish, such as rascasse (scorpion fish) and weavers, and shellfish (e.g. sea urchins), which were commercially useless. By the 19h century, bouillabaisse had become a dish of the upper-classes, serving the growing bourgeoisie of Marseille – which also changed the composition of the dish itself. Fish broth was used instead of sea water; the fish were no longer the castoffs of fishermen’s nets, and the precious pistils of Crocus sativus, or saffron. It was no longer a poor fisherman’s dish – it was haute cuisine. The recipe I have listed below is not the definitive recipe, by any standard. Bouillabaisse recipes differ restaurant to restaurant, region to region, and each recipe claims to be the authentic one. 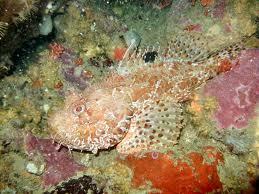 The one constant is in the inclusion of rascasse, basically a really ugly looking fish of the Scorpaendinae family. Seeing that there is no equivalent to the fish in the Americas, the best I can suggest is a substitute of various white, non-fatty fishes (rockfish or ocean perch will work nicely). Also, your fish should be impeccably fresh. Frozen fish from god-knows-where is not going to work – unless you like rubber fish. And yes, this dish is expensive and time-consuming. But think of it this way – it’s a heck of a lot cheaper and faster than taking a plane to Marseille. 1. Croutons: Pre-heat oven to 250ºF. Brush baguette slices on both sides with olive oil. Place on a baking sheet and bake until crisp, about 25 minutes. Take out of oven and when cool enough to handle, rub 1 side of each slice with a cut side of garlic. 2. Soup: Boil a large pot of water and plunge lobster into the water, covered, about 3 minutes. Drain in a colander. When cool enough to handle, place lobster in a shallow baking pan and twist off claws. Crack claws with a mallet. Halve body and tail lengthwise with scissors and then cut crosswise in 2-inch sections. Set aside. 3. In a large stock-pot, heat olive oil over medium heat. Cook tomatoes, onion and garlic, until onion is softened, about 5-7 minutes. Peel potatoes and cut into 1/2-inch cubes. Add to pot with fennel fronds, bay leaf, saffron, salt, and pepper. Add stock and bring to a boil, and then reduce heat to a simmer, until the potatoes are almost cooked, 6-8 minutes. 4. Add cockles to the soup, bring back to a boil and simmer, covered, for 2 minutes. Add mussels, lobster, shrimp and fish and repeat boil and simmer (covered) process for 2 minutes, until mussels are opened and fish is just cooked through. 5. Stir 3 tbs. of soup into rouille until blended. 6. Place fish and shellfish into soup bowls. Ladle soup with vegetables around the fish. Top each soup with 1 tbs. rouille and croutons on the side. Serve remainder of the rouille with soup. 1. Spread butter over the bottom of a large stock-pot, and add fish bones, heads and tails, onions, parsley stems, lemon juice and salt. Cover and steam over medium heat, about 5 minutes. 2. Add wine and water and bring to a hard boil. Skim any froth or scum, and simmer for about an hour, uncovered. In a food processor, process garlic, salt and cayenne, until a paste forms. Add bread crumbs and water, and pulse until just combined, about 4-5 pulses. With the processor running, add oil in a slow stream until well combined.